The three-day Professional Scrum Developer (PSD) .NET training gives students a deep insight into what is important for the development of professional .NET software; team, process and tools. The training combines theory and practice in a natural way. Working with real life exercises the students experience the real meaning of Scrum and how – in combination with the correct usage of the tools – this will lead to a high performance team. "Turning a Team of Rock Stars to a Team That Rocks!" Find trainings dates below or contact us for an incompany PSD-training via +31 85 - 487 52 11. 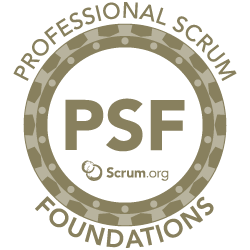 Audience: The Professional Scrum Developer course is suitable for any member of a Development Team, including architects, programmers, database developers, testers, and others with some technical knowledge. The class focuses much on technology and requires pair programming. Participants: between 8 - 12 trainees. This training is provided by Roderick Schoon and Simon Reindl. Roderick Schoon is working for Delta-N and is a trainer with Scrum.org specializing in PSD.NET training. Simon Reindl is a Professional Scrum Trainer based in the UK, who has been delivering training and coaching since 1999. He has been working with Scrum, Agile Development and Visual Studio Team System since 2005. Simon’s focus is in helping businesses delight their customers and development teams deliver the best quality code that they can. "Best course I ever had!" 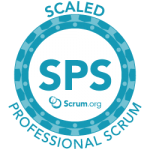 Read more reactions of participants of the Professional Scrum Developer Training. 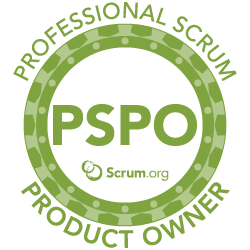 The Professional Scrum Developer ( PSD ).NET training is a three day training . To achieve the PSD.NET certification, students must take the PSD.NET. assessment. Included in the price is the access code for the on-line exam, official training materials, and coffee, tea, refreshments and lunch during all training-days. * The training can also be given onsite to your software development team. Please contact us for more information about an open course or to discuss how we can help you . (+31 85 - 487 52 11). 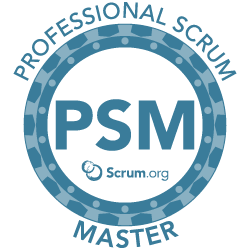 We also offer other Official Scrum Courses from Scrum.org. Click on a logo for more information.